Creating visual content for social media can seem daunting for any business but for service-based businesses, it’s even more difficult. With a business that is product based, it’s easier to bring concepts and ideas to life as there is a physical object that can be featured, something that is missing with a service-based business. So how are you supposed to position yourself as an expert, tell a story, and showcase the services you offer if they’re intangible? Whether you’re a team of one or a team of fifty, using the faces behind your business as a way to grow personal relationships through social media is a great way to build trust. After all, if the user decides to utilize your services, it’s YOU they will be working with! Humanize your Instagram account by sharing a behind the scenes look at a project you are currently working on, team outings, or even a rundown of a typical day in the office. Don’t have a physical product to photograph? Get creative and showcase your experience in different ways! Have branded graphics made that can be easily edited to include testimonials from past clientele or advice/tips on how to do a simple task? Don’t forget to stick with the colors and fonts of your brand but get creative with the layout of the graphic itself. As we mentioned above, bringing your followers for a behind the scenes look of a current project, sharing your face and giving a little bit more insight into the services you offer allows your followers to see the human aspect of your business and build trust. This will also give potential clients a way to see themselves as part of the process. Not sure where to start? Consider these ideas! Do you offer HVAC services? Have a team member take an over the shoulder video of a small repair you’re working on! Are you an event planner? Print out an information package you sent to clients and have a team member sit down at a table and photograph them flipping through it – this brings the human touch into play. Have a set of tools you use on a regular basis or an office that you work out of? Share snippets of these aspects of your work day! Have you just finished a project? Take a photo of it! 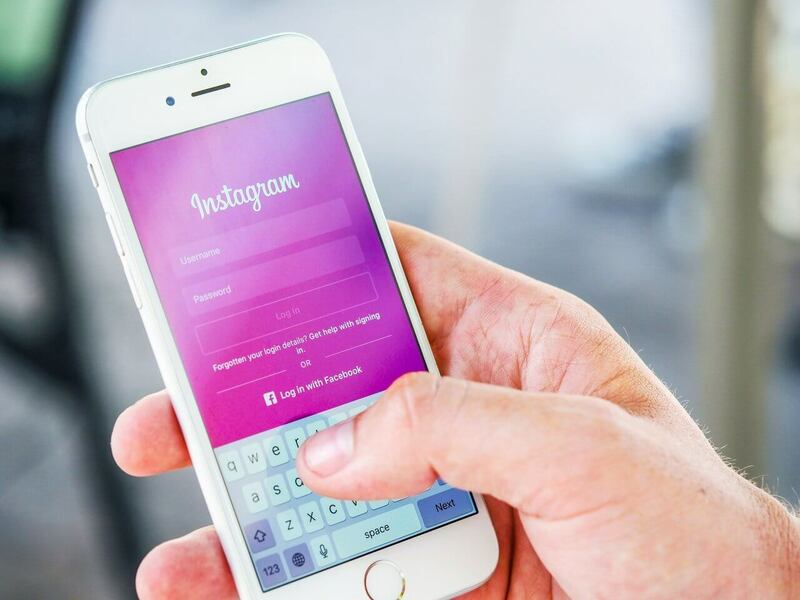 Even though Instagram is a social media platform, that doesn’t mean you can’t treat your account as a portfolio! Share your photo to your feed and utilize the caption space as an area to fill in your followers with the details of the project.